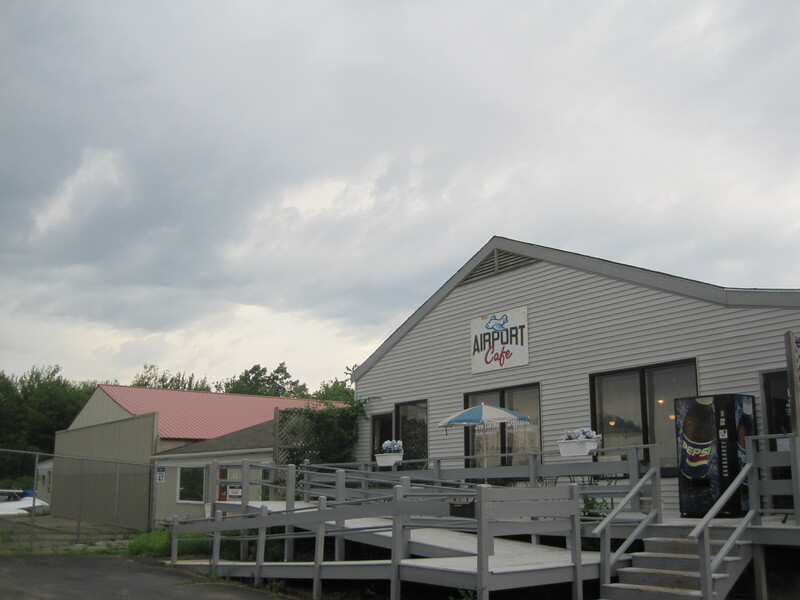 Our local, teeny, tiny airport has a café! You can drive right up and have a great view of the airplanes taking off and landing . . . and even when they aren’t there are lots of airplanes around . 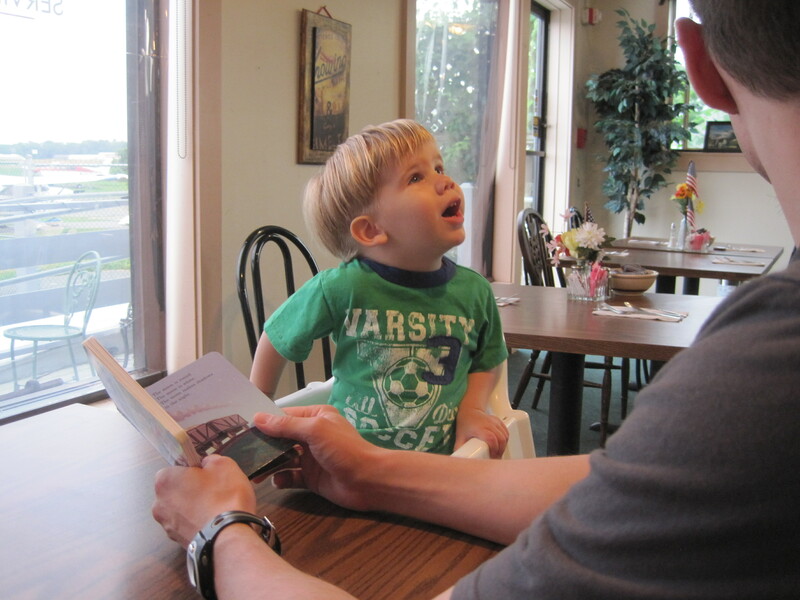 . . so it was the perfect place to go for breakfast during airplane week. And it will definitely be some place that we return to. It is tiny, and interestingly different (as indicated by the name of the café, “Something Different”). But it was perfect for a two year old. 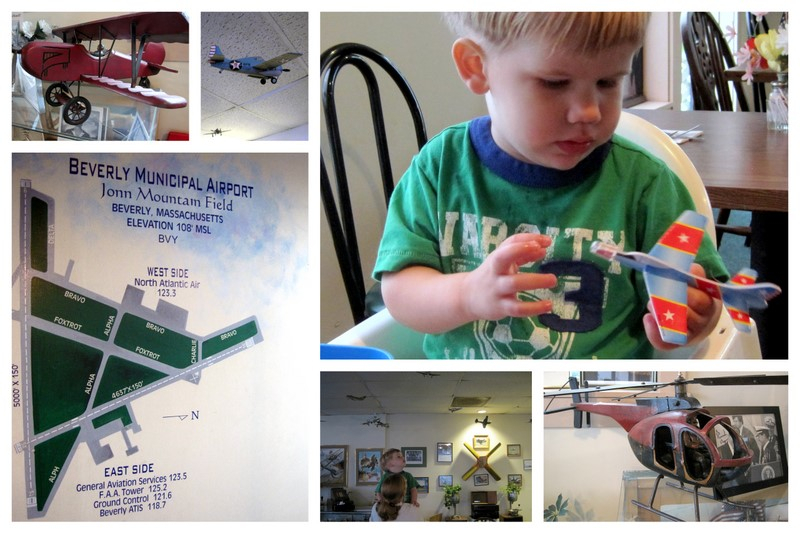 He loved the airplanes hanging from the ceiling and especially enjoyed his own airplane that they gave to him (comes with every meal, you just have to ask).